This level has medium difficulty. For this level try to play near to blockers to break them or make special candy as you get the chance. 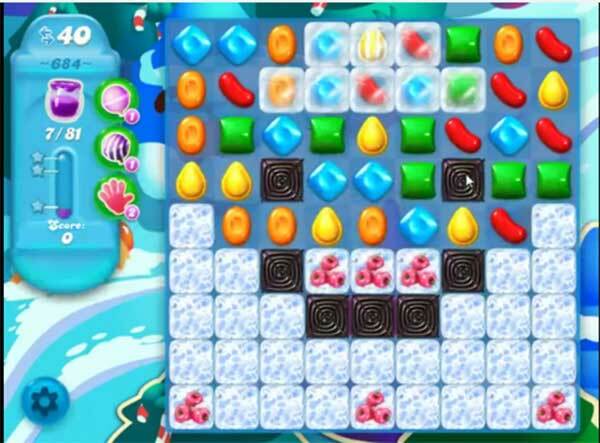 Combine special candies with each other to break more blockers and spread more Jam. Or play near to Jam to spread it to near candies. yOUR Video is amazing. My question would be how many times did you have to play this to get through the level. I also am observing patience. I wish King developers would not flash suggested moves. (they have a toggle switch to turn it off in Candy crush saga) It drives me wacky, it is distracting and many times they do not even suggest the correct move. Looks like the fish are her key to winning mixed with special candies when possible.